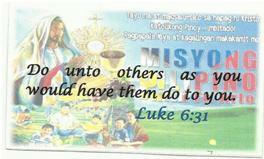 The theme for this year’s Misyong Pilipino is the Eucharist, You and Family. 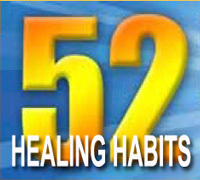 As compared to last year’s topics on healing in all aspects of our life, this year will deepen even more our understanding of our faith. These series of blogs will summarize and reflect the meaningful highlights of the talk every night until we complete the retreat. Why is the holy mass the most important type of worship? Why is it so different from the praise and worship of communities like El Shaddai, Couples for Christ and Light of Jesus? Why is the holy mass all over the world the same? Fr. Arlo explained the reason why by comparing first the difference of praise and worship of each communities as well as their difference to the holy mass. Each community has distinct praise and worship. The praise and worship of Light of Jesus Community is different from Couples for Christ. On the other hand, the holy mass in Abu Dhabi is the same with the mass in Rome and Manila. This is because the praise and worship of the holy mass itself is standardized. You will notice that the whole world is connected and celebrates the same holy mass unlike in the praise and worship of Light of Jesus; it is only connected with The Feast in Manila which is the weekly gathering of the Light of Jesus Community. In addition, the Couples for Christ’s praise and worship is only connected within the community of Couples for Christ even if it is all over the world though the teachings will be different in every location. In the holy mass, we have the act of contrition, the readings and the Gospel which is the same all over the world. Offertory and Prayers of the Faithful are also a part of the holy mass. Finally, the Eucharist which the communities cannot achieve, turns the bread into the body of Christ and turns the wine into His blood. Aside from the uniformity and the elements of the holy mass that is absent in the praise and worship of the communities, Fr. Arlo has shown the importance of the Word of God. He discussed that the Word of God is food. 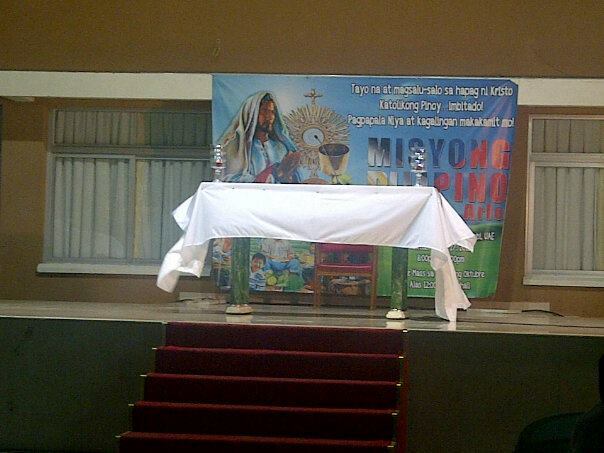 If you will notice that the lectern, where the Word of God is read and the altar are similar. The design and materials used are the same. It signifies that the Word of God is also a food as with the Eucharist. First serving of the food is the Word of God and the second serving is in the Eucharist. Praise and worship do not meant to nourish the faith, they are meant to strengthen the faith. The Word of God however, is meant to nourish the faith. One analogy is when you do weight lifting, the weights you carry portray the praise and worship which strengthen your faith while the food that you eat is the Word of God that nourishes your faith. The Gospel simply tells us the greatest commandments: To love the Lord, your God, with all your heart, with all your soul, and with all your mind and To love your neighbor as yourself. The Lord tells us to be gentle to three persons who are the foreigners, widows and the orphans. In addition when lending, we should not ask for interest and be kind-hearted. So why does the Church select the first reading? The verses have similar theme, the message is “Love your neighbor as you love yourself”. The fundamental basis of loving your neighbor is the way you love yourself. Do not be cruel to the foreigners because we were once foreigners also. An example Fr. Arlo talked about is that if you have a father who left you because of other woman or other man. =) It is natural to get angry. Do not be affected by the situation. On the brighter side, say to yourself that “When I become a father someday, I will never do the same. Also, do to others what have others do to you. If you walk into an office, it feels good when everyone is greeting you. If you feel that greeting you will make you feel good, do it also to others. Always remember what makes you feel better from the appreciation of other, the more you should reciprocate it. Fr. Arlo was ordained to priesthood on October 22, 1983 at Divine Word Seminary, Tagaytay City at the age of 25. During his time in the seminary and being a priest, most of the time he encounters the word compassion. He understood its meaning even more through the story of his friend. Fr. Arlo’s friend is the youngest and belongs to a large family of eight siblings. They are all professionals in their respective fields. Their mother is a widow and they belong to a very conservative family. She has a brother who is gay. They discovered that his brother has a boyfriend. Because of this, the family disowned and rejected the brother. Despite of this, the she still accepted the brother. Until one time, she got an affair with a married man. In all fairness, the married man has an annulment already applied and just waiting for the decision of the court. The family discovered her relationship and just like what happen with his brother, they disowned and rejected her including her brother. She was complaining because she was expecting compassion from her brother but failed to get it. 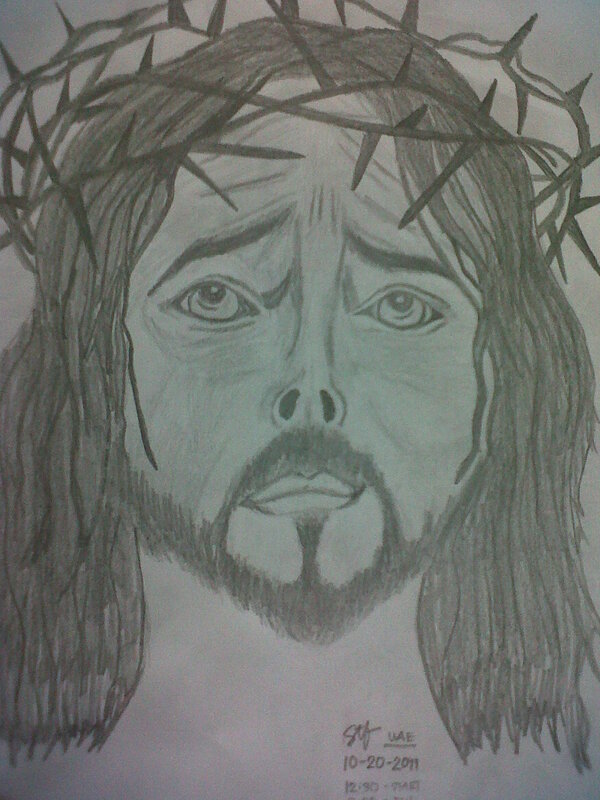 He should show compassion because he had gone through with it. For those of you who started in Abu Dhabi with nothing and soon rose in the ranks and got a good life. If there are fellow Kabayans who just started, be compassionate to them because you have gone through with it. The one who only loves himself sometimes portrays selfishness. The bottom line and reference of loving others is the way you love yourself. You should understand more because you have gone through with it. This is the same with the 1st reading; do not be cruel to the foreigners because you were once a foreigner as well. Brothers and sisters: You know what sort of people we were among you for your sake. And you became imitators of us and of the Lord, receiving the word in great affliction, with joy from the Holy Spirit, so that you became a model for all the believers in Macedonia and in Achaia. For from you the word of the Lord has sounded forth not only in Macedonia and in Achaia, but in every place your faith in God has gone forth, so that we have no need to say anything. For they themselves openly declare about us what sort of reception we had among you, and how you turned to God from idols to serve the living and true God and to await his Son from heaven, whom he raised from the dead, Jesus, who delivers us from the coming wrath. The message of the reading simply tells us to love God with all our might, with all our soul and with all our mind. Loving God will be manifested and spread like wildfire in Macedonia and Yas Island (where Ikea is located). =) In addition, if you love God, your love will spread not only in other people but also with your children. If you can have your child to go with you to church, it is a clear indication that you have a strong faith. Otherwise, they are not convinced with your faith. Understanding these readings and the Gospel, we can finally have the responsorial psalm, I love you, Lord, my strength. This should be the way to analyze and understand the readings. There is more wisdom if we analyze the readings and the Gospel and end with the responsorial psalm. The wisdom of the church tells us to love God which will become our strength. In effect, this love will give us strength to love our neighbour. What is the Eucharist? May be it is just a bread. Last year after the Abu Dhabi retreat, Fr. Arlo went immediately to a Marian Pilgrimage and one of their destinations was in Lanciano, Italy. About 8th century A.D., there was once a priest that has a doubt on the Jesus’ Real Presence in the Eucharist. A miracle happened during the holy mass, the host was changed into live flesh and the wine was changed into live blood. The flesh consists of five pieces with the size, each similar to the large host used today. They have preserved the flesh and blood and scientists were invited to investigate on this wondrous event. Based on their studies, the flesh is real and consists of the muscular tissue of the heart. The blood is real of type AB. All of the pieces of the flesh have the same weight and even the combined weight is the same as with the individual weight. This is the instance where the scientists cannot explain why. The communion ministers as well as the faithful should recognize that even a tiny portion of the bread that they will receive is just the same quantity as with the whole piece. The body of Christ is just the same whether it is a tiny piece or the whole piece, you will receive Him as one. The priest prays something during the mass about the Eucharist. There is a passage wherein Pope Benedict XVI and Bishop Paul Hinder names are said. When the priest recites the name of Pope Benedict XVI, the holy mass will be connected to the mother church. And when the name of Bishop Paul Hinder is recited, the holy mass will also be connected to the Southern Vicariate of Arabia. The praise and worship cannot achieve this. That is why we need to take note that if there is a scheduled mass, do not have the meeting or praise and worship simultaneously with it. It is not advisable to skip the mass so that your activity will be connected to the church. It will be useless if we go for the praise and worship directly without attending the holy mass. Fr. Arlo suggested that when there are visiting speakers of the community from the Philippines, it is imperative to have them presented first to the parish priest. One advantage of this is to be recognized by the parish church in all your activities and they can give you safety measures since you connected with the church. Similarly on the case of Fr. Arlo as invited priest in St. Joseph Cathedral – Abu Dhabi, prior to the retreat, he was already presented by the priests to Bishop Paul Hinder so that they will be connected to the church not only in Abu Dhabi but also to the Vicariate. All the blessings that the activity will give in the parish church, it will also be given to the whole Vicariate. Finally, Fr. Arlo recalled the reading last week about acknowledging the Lord to the people that surrounds us so that He will also acknowledge us in front of the angels in heaven. This is the message of the Lord to us, in order for us to be acknowledged in heaven, we should acknowledge Him in front of the people by sharing the good news of the retreat to our friends. We can invite others to the retreat. Inviting them to the retreat simply implies that you are acknowledging the Lord in front of them. The blessings that we will get in the activity is not enough. In order to fulfill the Filipino Mission, we should reach out to all our Kabayans and participate in this momentous event. The reward will be the acknowledgment of the Lord to us in front of His angels in heaven. People are created by God to be social beings. We cannot live in this world alone. How we interact with others will also show how strong our faith is. It is a blessing for me to have this verse as I am really passionate on personal development. And I think one of the major values to have in achieving this self-empowerment is to practice the said verse. If we can apply this verse religiously, the closer we will get to the Kingdom of Heaven. The next topic that will be discussed is the details of loving God and loving our neighbors. And through the course of the week, topics to complete the mission will be the miracle of the loaves, getting the bread, thanking, cutting and giving to His disciple during the Eucharist. Always remember that the Eucharist is the highest form of worship. How do you express your love to God and to your neighbour? Share your thoughts and meet us in the comments. Do you find this article helpful? Subscribe to our free newsletter and we will update you right in your Inbox. Hi Rina, Thanks for visiting the site. The talks of Fr. Arlo really touches our lives as OFs. God be with us. Hi Cherry, Thanks for the comment. Hope you find the article helpful. Thanks for visiting. Thanks for visiting the site. Good to know that we have the same Bible Verse. I know that it answered your intention also. God bless.